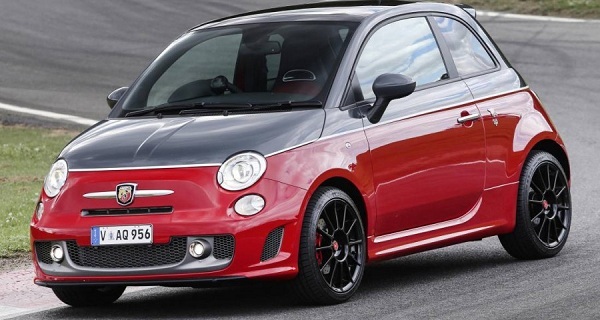 The little Fiat 500 has become a truly successful model and proof of this are the various variants of the model that have seen the light, as the version crossover – Fiat 500X – the most powerful of all or the Abarth 500 is updated for 2015 After 6,869 Abarth 500 sold during the last year, the Scorpion brand presents a new range that adopts a new philosophy based on the idea that each corresponds to a motor equipment . 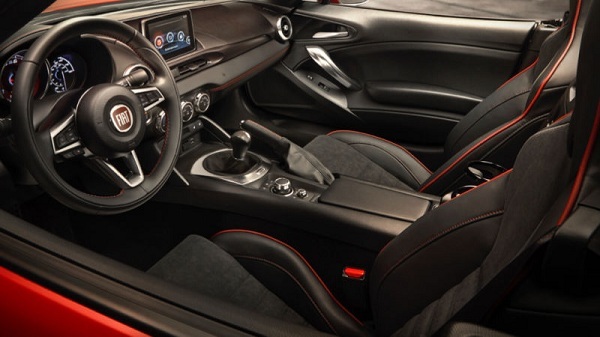 Thus, the range is integrated by a version of access, the Abarth 500 (135 hp) ; the 595 Turismo (160 hp) ; the 595 Competizione (180 hp) , which is an absolute novelty for the first time can be configured with manual transmission; and the most powerful of all variant, the 695 biposto and 190 hp for a total weight of only 997 kg , thereby achieving the best power / weight ratio category (5.2 kg / CV). In terms of equipment, all Abarth come very complete series , especially higher versions, but the brand is aware that many of its customers are more demanding than average and offers a wide range of customization elements (as has been tradition in the urban model). Particularly noteworthy kits engine with improved brake system and suspension; cosmetic kits and a host of accessories for the interior and exterior. In the cockpit, the whole star is the new dashboard with TFT 7 inch screen , which in this generation provides more detailed information on driving performance information and lets you choose between two display modes: A “Normal Mode” , with level indicators and fuel consumption depending on the type of driving and “Sport Mode” which focuses on vehicle performance, with indicator longitudinal / lateral acceleration. The new Abarth 595 Competizione was a novelty in the last Geneva Motor Show to present for the first time the 180 hp engine combined with five – speed manual gearbox, although a special model could not be satisfied with just that. 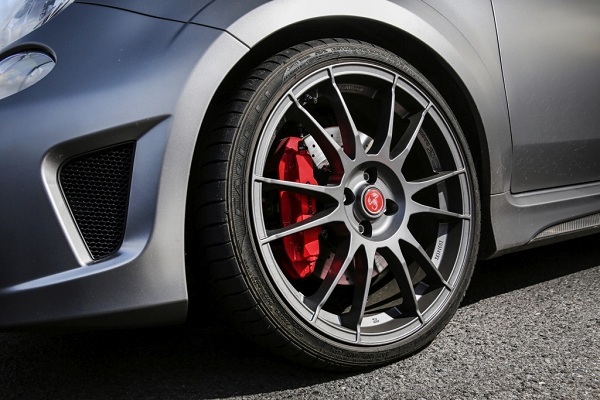 Series, this version also provides many details that enhance its sporty image, such as the brake system signed by Brembo high performance , the new exhaust Record Monza , sports seats by Sabelt Abarth Corse Competizione or Kit. The brand ensures that both new braking system as the exhaust will be two of the strengths of this model , providing multiple benefits in both cases. On the one hand, new Brembo will achieve a braking performance far superior to integrated pistons on both sides of the brake rotor, increasing the hardness to step on the brake pedal and reducing vibrations and weight thanks to aluminum calipers painted in Red; while the exhaust Record Monza allows optimize torque and power curves and offers a much sportier sound. 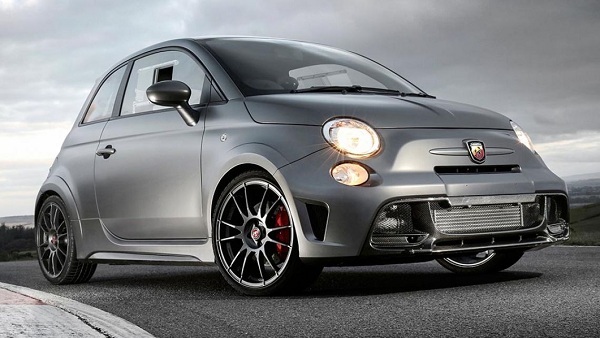 Conceived as the best example of the philosophy of Carlo Abarth 60 years later, this model inherited from the world of competition numerous elements to become the 500 most extreme ever built. We demonstrate its potential components such as the intercooler frontal powered , an exhaust system Akrapovic , adjustable dampers Extreme Shox, the recorder digital data MXL , seats Abarth Corsa by Sabelt with 4 – point belt , the brake system Brembo , the OZ lightweight wheels of 18 inches or rollbar titanium light of Poggipolini. In addition and, as a result of the experience changes for racing vehicles Bacci Romano, 695 Biposto is the first road car to mount a change of front coupling – dog ring – new bill that allows a change of gears so immediate a expert driver not even need to use the clutch when upshifting.